An interesting thing is happening with gaming mice and the PC peripheral market recently. We're seeing manufacturers build mice specifically for each segment and genre catering the various playstyles gamers have. 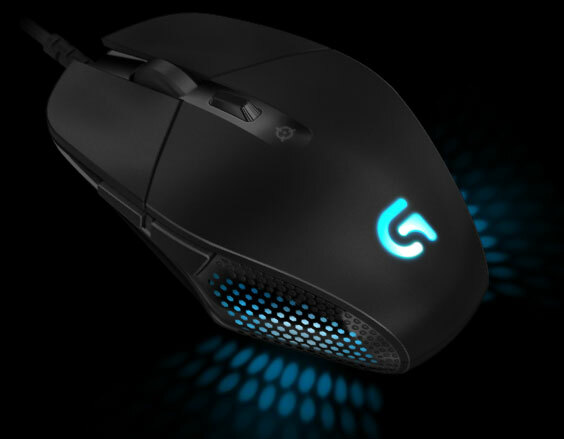 This November, Logitech brings us their latest entry with a mouse that has been tested and built for eSports players. With a name fit for a Capital starship or destroyer, the G302 Daedalus Prime pretty much has the lines and side profile of a sci-fi spaceship, the light blue glow certainly helps. The mouse could potentially be great for claw or fingertip grip based on the shape. As for the design and build, Logitech has taken the time to work with professional eSports players to find out and understand their requirements so that they could build something that would stand the rigours of professional competitions in the MOBA scene. Pricing for Singapore is suggested to be SGD $59 and should be available within the month. What do you think of the mouse? Let us know in the comments. GameStart Asia Starts A Crowd!